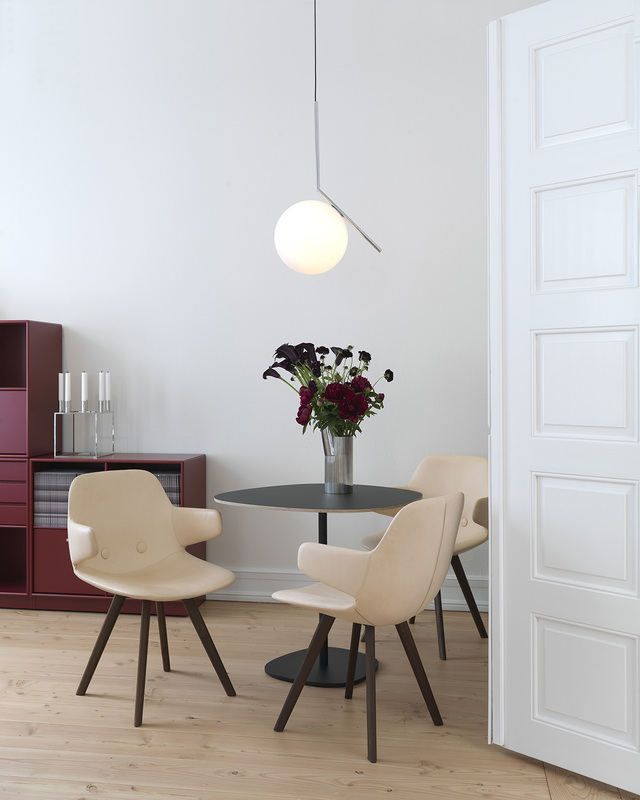 Erik Jørgensen Møbelfabrik expands with another showroom in Copenhagen, in Bredgade 76. The new Showroom will focus on Erik Jørgensen's home collection, while the showroom in Pakhus 48 will be transformed into a contract showroom. The new 1,000 m2 showroom is shared with Montana. 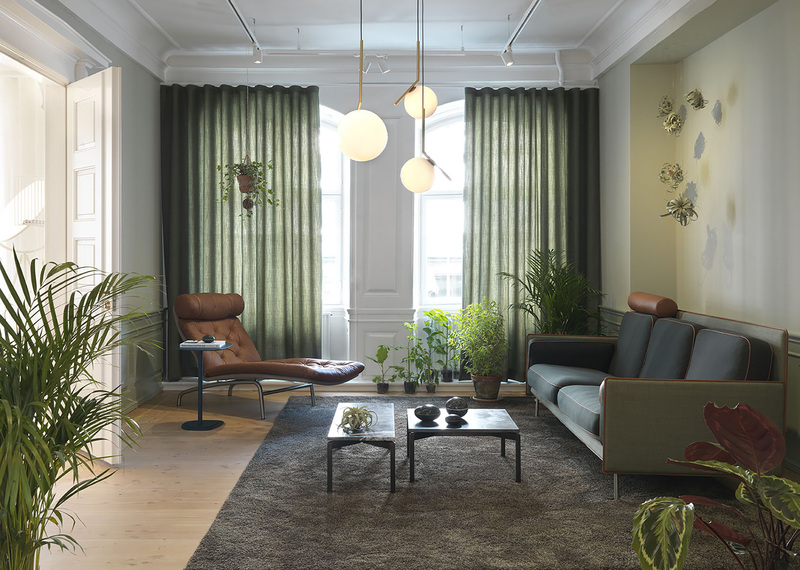 Erik Jørgensen Møbelfabrik has premises on the 1st floor while Montana has their showroom in the lobby. - We have been in Pakhus 48 for almost 8 years and are still very happy about the location. The architectural environment in Nordhavnen is incredibly dynamic and visually inspiring. 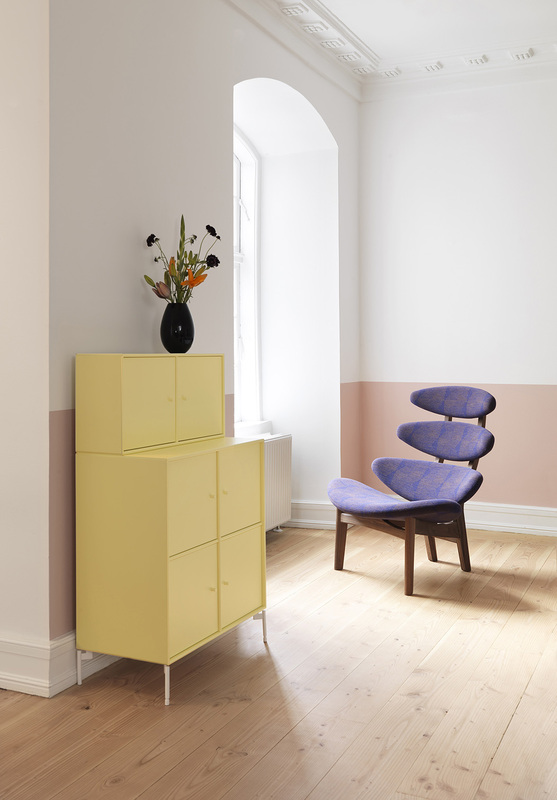 At the same time, we are aware that there is an increased focus on exhibitions in the inner city, and not least in Bredgade. 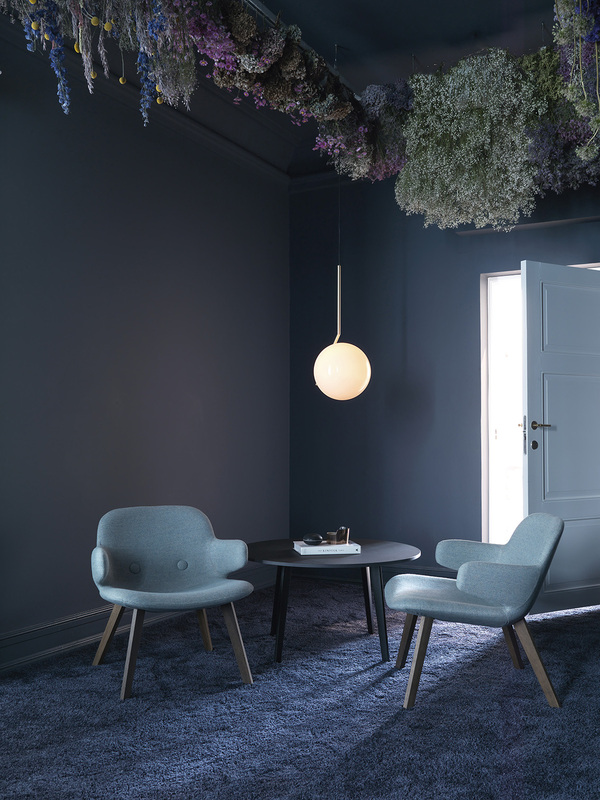 We have therefore chosen to seize the opportunity to have two locations in Copenhagen with different focus, says CEO Niels Jørgensen, Erik Jørgensen Furniture. 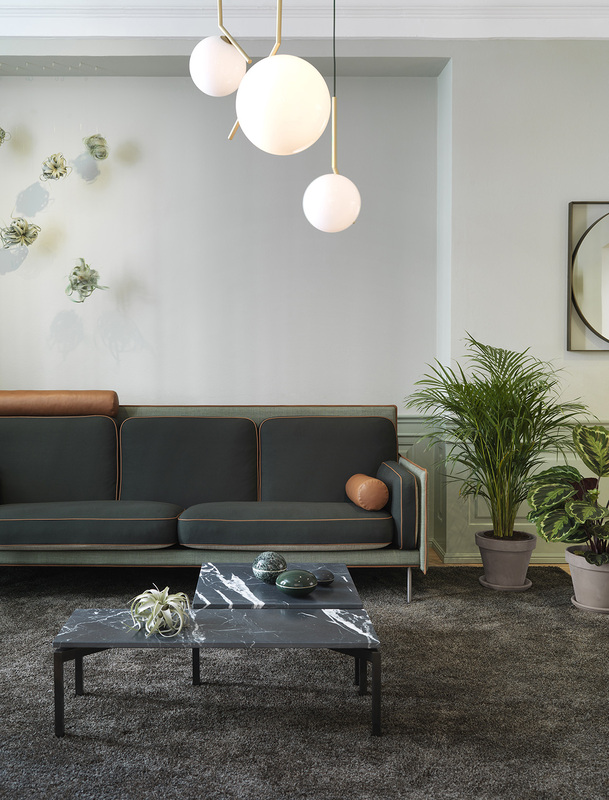 In collaboration with architect Tine Mouritsen, the new showroom has been decorated with a strong focus on the home collection, which is set in a brand new light. 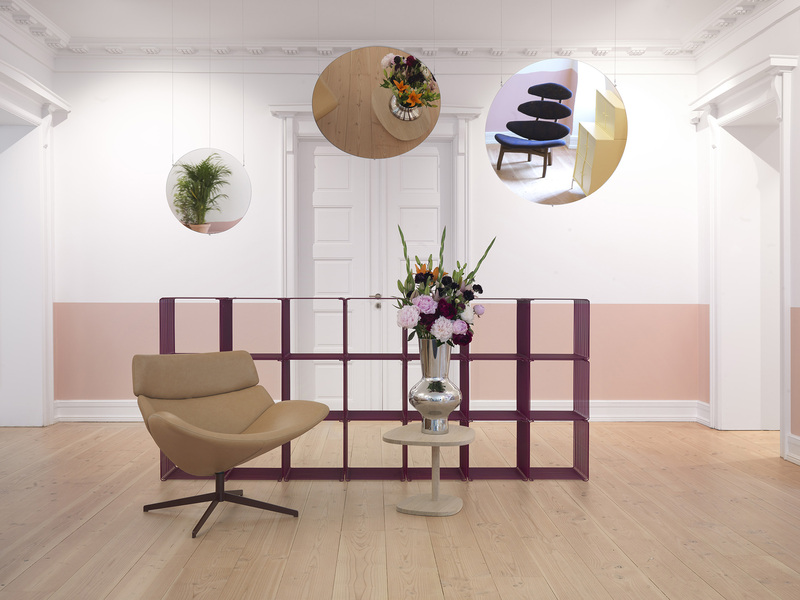 There are four rooms, each decorated with their own theme, where the classics as well as the new furniture are displayed in a completely new and different way. It was important to establish a unique framework for each room. 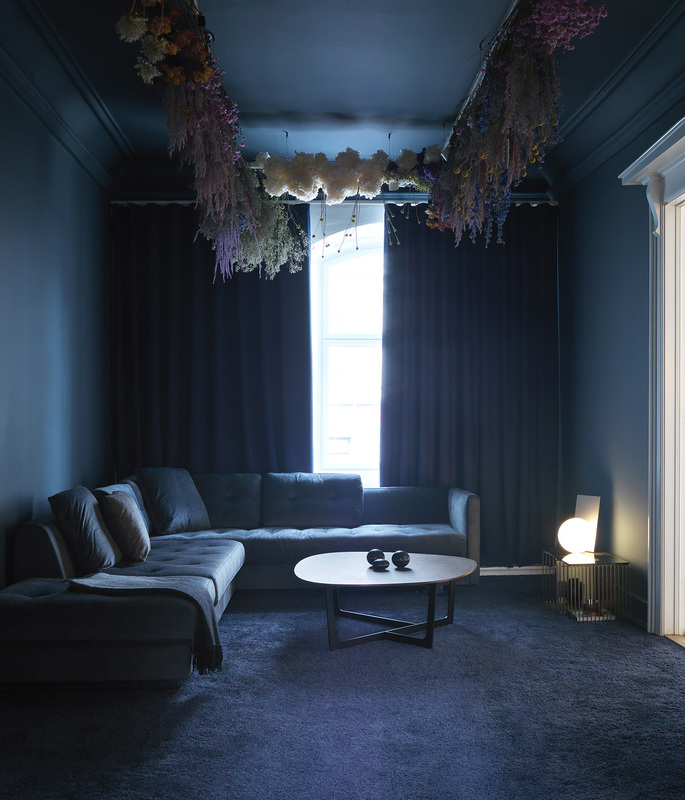 - Each room has its own expression and color scheme: Botanic Garden, The Office, Tranquillity and the Blue Room. 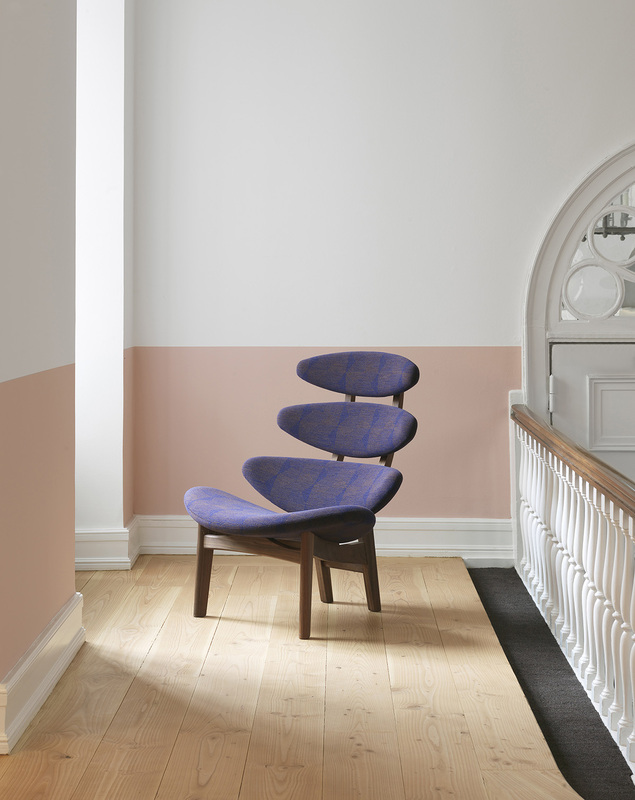 It has been a close collaboration with Niels Jørgensen - ranging from the choice of furniture to textiles and the colors in the rooms, explains Tine Mouritsen. The Office: This is the most classic room, but it's an exclusively decorated office with a beautiful ox chair in the corner, padded in bordeaux leather that matches the Montana system on the wall. There is also a corner in the office that is perfect for cozy meetings around the Insula Base table in black with a contrasting table edge in wood. Three Eyes Arm chairs in Vegeta leather enclose beautifully the table. Botanic Garden: A trip into green surroundings, where furniture, walls and floors are held completely tone in tone, only interrupted by some yellow and brown shades that break the room. Inspiration for this space comes from botanical gardens and international trends, where plants are a major part of the decor. 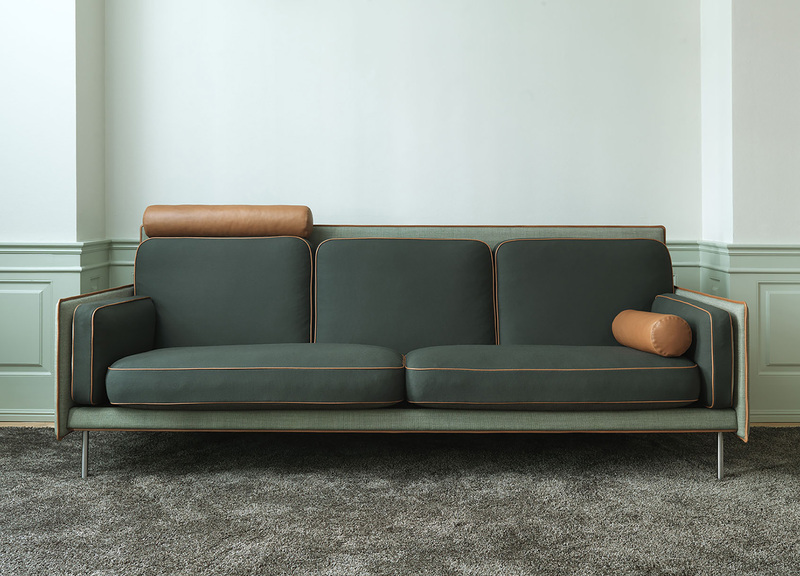 Relax in the botanical garden and enjoy the green Hector sofa - you know green is good for the eyes. 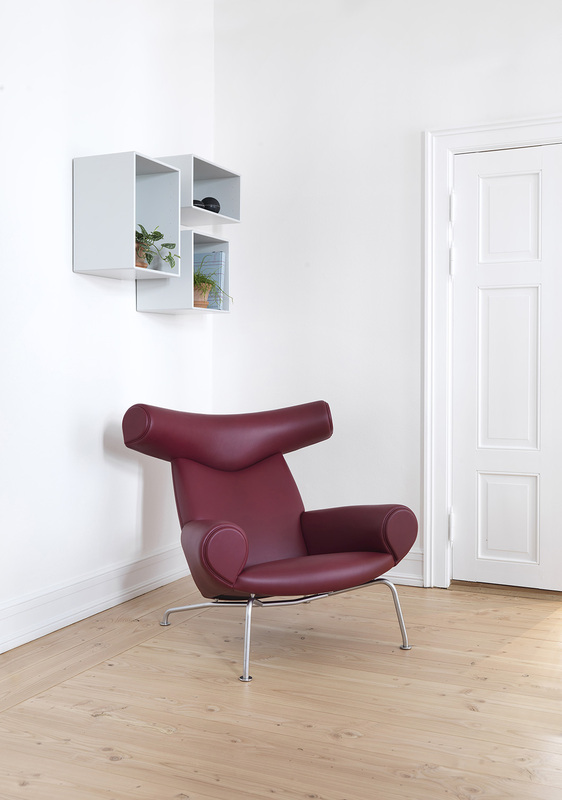 Enjoy the delicious velor in the Queen chair or sit back in the soft AV chair. 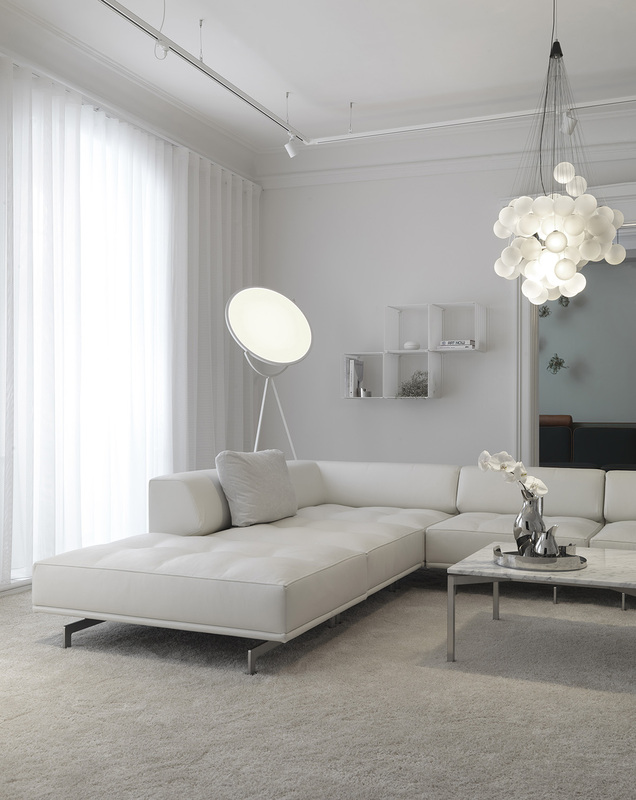 Tranquillity: It is rare to experience a room that is kept entirely in white. 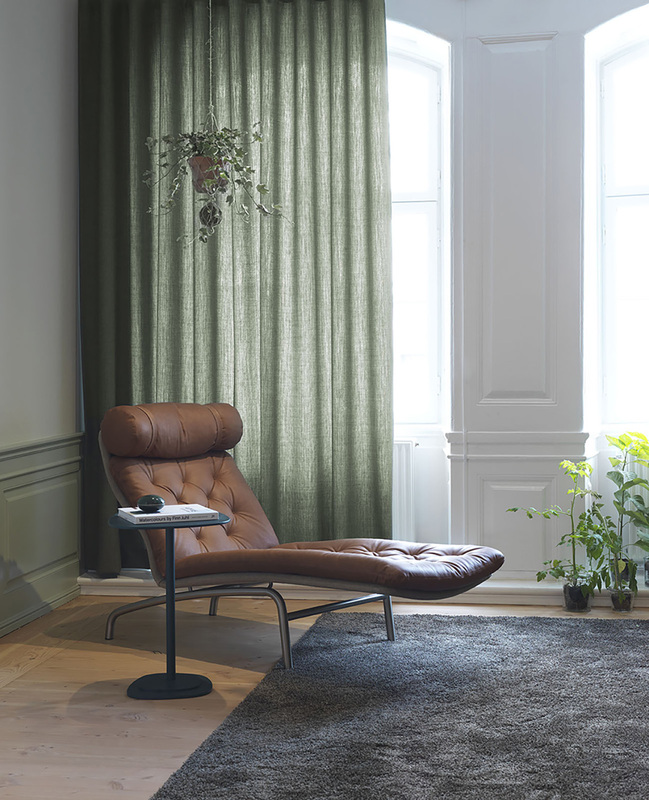 It creates a sense of ease and quiet, and is the perfect contrast to the heavy furniture classics. 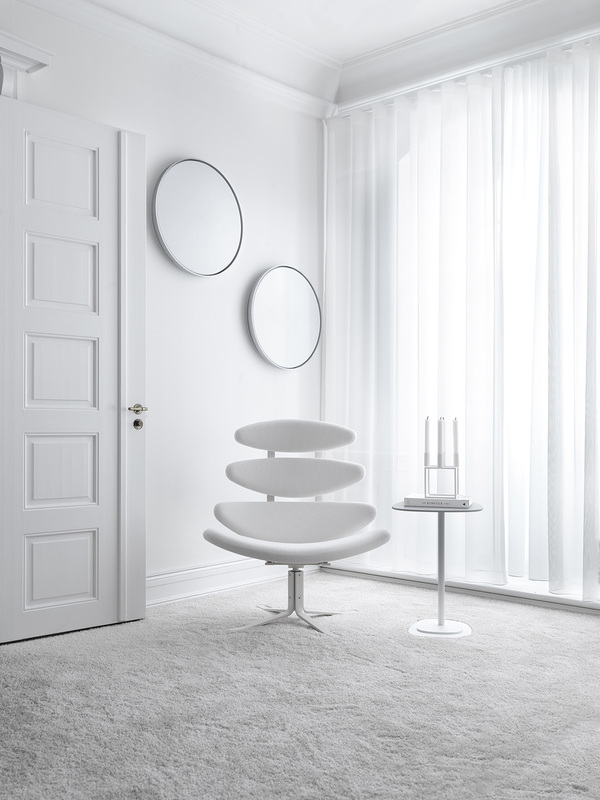 The Delphi sofa in white leather will make you feel almost floating in the air. 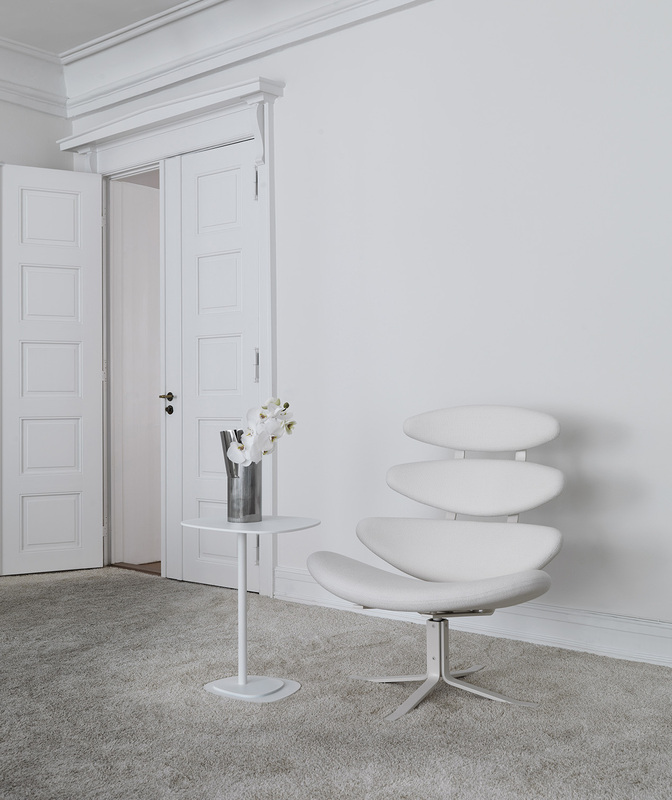 Corona Spectrum entirely in white is the perfect match for the classic No 280 sofa. 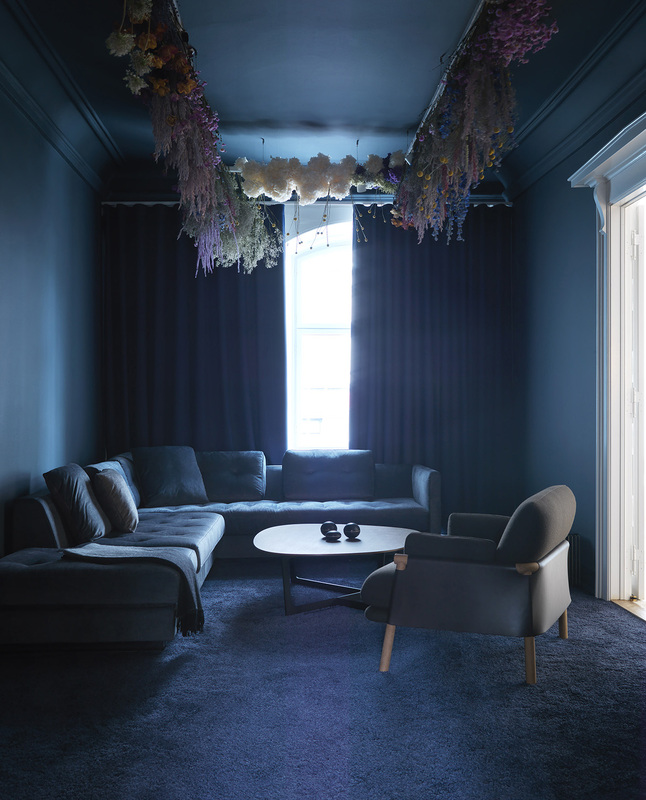 The Blue Room: From the clean white space to the cozy Blue Room that invites you to sit in the big spring sofa and smell the flowers that hang from the ceiling. The blue space is a small cave with a dramatic expression. Bredgade 76 was built in the period 1754 to 1757 for Christian Frederik Løwe, who was a customs teller. The building is also named after him and is called Løwes Gård. The building consists of three sections. There is a main house, a side house and a backyard and a basement. To the left of the courtyard is the building 76c-d, which until 1820 consisted of two buildings where it was converted to the building it is today. Number 76a is the back building, and there were stables and storage of trolleys back in the day. In 1834, H.C. Andersen resided at Løwes Gård for a short period before moving to another apartment in the nice part of Nyhavn. Café Petersborg has been placed in the basements since the 18th century. The name originated from the time when the Russian Consulate had a residence in the premises, and many Russian seamen used to cross the road to quench their hunger and thirst. In 1995, Hillary Clinton visited the restaurant when she was in Copenhagen on official state visit with her husband Bill Clinton, US President-in-Office. It is necessary to activate the comment by e-mail before it becomes visible. If you are a member and logged in, the activation of the comment is not needed. Remember my name and e-mail on this computer. Receive an email whenever future comments are posted about the article. Keep a good tone in your comments, avoid personal attacks and posts of marketing character. Apply only link on your comment if it is relevant to the debate. Be aware that the debates are moderated by the portal's editorial team. Sign up for the industry's leading newsletter and keep up with all that moves in the industry. You have been signed up to the newsletter. You will shortly receive an email, in which you must confirm your subscription. Only after doing that, will you start to receive newsletters. 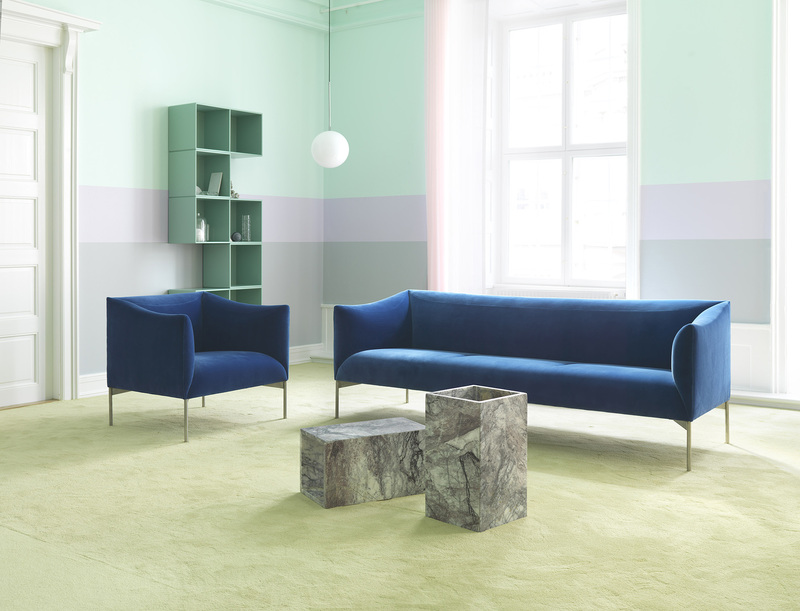 Formland brings together Danish design! Grab our latest Look Book online now! Come and see us in Oslo!